Former Prime Minister Tony Blair has donated £106,000 to Labour’s election campaign just six weeks after MPs demanded he reveal the identities of his paymasters. Multimillionaire Blair handed £1,000 to each of the candidates in Labour’s 106 ‘must-win’ seats, despite controversy over his highly lucrative work for authoritarian governments. In a letter to candidates, the former Labour leader wrote he was giving them the money because he knew the outcome of their campaigns would determine the Labour Party fortunes in May. Blair did not mention current Labour leader Ed Miliband in his letter. The former prime minister has previously criticized Miliband for being too left-wing. “This is where the election will be won for Labour and that is why I am making a donation to all 106 campaigns. “As one of our key seat candidates you know better than most the scale of the challenge we face, but I have every confidence that with your drive, determination and organizational skills, you will deliver a successful local campaign that will also see our party returned to government,” he added. Blair’s significant donation was welcomed by the Labour Party. “We’re delighted that Tony Blair has given so generously to the local campaigns in the battleground seats our party is targeting at this general election,” a spokesperson for the party said. The large contribution to Labour’s campaign, however, raises ongoing questions over the source of Blair’s wealth. 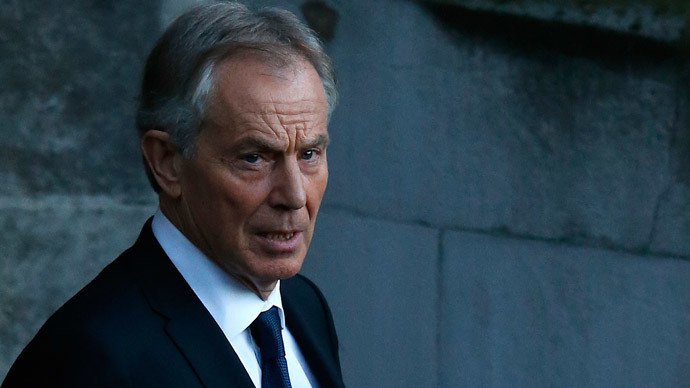 Blair has been mired in fresh controversy in recent years, after his business transactions were linked to the governments of Saudi Arabia, Azerbaijan and Kazakhstan – all three of which are widely known for human rights abuses. He also worked for energy company BP, advising on a new gas pipeline to connect Azerbaijan with Turkey and Italy. Tory MP Andrew Bridgen tabled a motion in Parliament demanding former prime ministers be bound by the same rules of transparency and oversight as serving politicians. Blair’s letter to candidates standing for election in key target seats was conspicuously quiet on current Labour leader Ed Miliband. In an interview with the Economist, Blair suggested Miliband had swung too far to the left and was alienating business. “I am still very much New Labour and Ed would not describe himself in that way, so there is obviously a difference there,” he said. “I’m convinced the Labour Party succeeds best when it is in the center ground,” he added.